I enjoy travelling and have travelled to Europe, the East, Australia, throughout Canada, the United States and the Caribbean. Buy a purse that has a light lining. When the inside of the purse is dark it is very hard to find anything, organized or not. A lot of items are black or dark in colour, make-up, pens, phones, keys, wallets etc. Try purchasing a gadget called Grid It. It comes in many sizes but the small one fits lovely inside a purse and keeps all your small items that you need for flying and travelling neat and tidy. It is wonderful for holding a pen, earbuds, adapters, candy, phone, keys. You pull it out of your purse everything is contained on the Grid it and you pull out the items you need and put it back in your purse. No digging around in the corners to find the thing you want. How do you keep all your small items easy to find and use? Share your tips in the comments. Click her if you want to learn more about working with a Professional Organizer? Cholesterol-lowering pills and allergy eye drops may reside on the bed stand. The medicine cabinet probably holds a cluster of medications (antacids, asthma inhalers, antibiotics) and a few stray ibuprofen may even float around the bottom of your handbag. More than one third of American adults regularly use over-the-counter medications and 65 percent of all adults in the U.S. (roughly 131 million people) use prescription drugs. But not all of us know how to store and dispose of medication safely. We’ve got your medicine cabinet covered with a comprehensive guide on storing and disposing prescription and OTC drugs. Read on to learn how to stay out of harm’s way. Up to 50 percent of chronic disease patients (for instance people with arthritis, asthma, cancer, COPD, diabetes) fail to follow directions and take their medicine as prescribed. A simple misstep can lead to higher health risks and medical bills. One way to avoid this problem is to stay organized. While some households store meds in a number of locations, it’s easier to keep track when they’re all in one place. Try to make medicine taking a part of your daily routine (whether it’s right after breakfast, before dinner, or before bed—whatever your doctor suggests based on the requirements of each medication) and stick to a schedule. Pill organizers are another great way to prevent confusion if you or a family member takes multiple pills a day. It’s also a great idea to take an inventory of your prescriptions at least once every six months. When choosing a place to keep prescriptions, seek a spot that stays cool and dry, such as a kitchen drawer away from appliances (heat and moisturecan damage pills). For this reason, a medicine cabinet in the bathroom may not live up to its name, unless the bathroom is well ventilated with fans or windows. Travel poses its own obstacles. 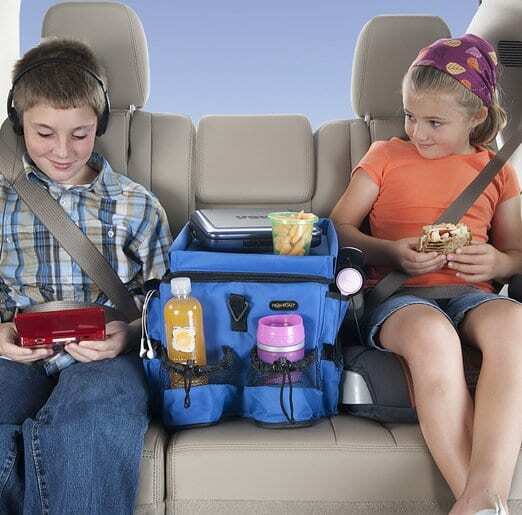 If you’re traveling in the car, don’t keep medicine in the glove compartment, which can get very hot. If you’re jet setting, pack prescriptions in a carry-on bag in case your luggage is lost or temporarily delayed. Pack medicine in the original bottle and take a copy of your prescription to avoid any trouble with security. This isn’t a simple toss in the trash situation. Discarding pills is a matter of safety: Many medicines are unsafe if taken by the wrong person. Medications that have passed the expiration date can also be dangerous. The Federal Drug Administration (FDA) provides specific guidelines to dispose prescriptions safely. Experts have mixed feelings about flushing prescriptions down the toilet. Some question it due to trace amounts of drug residues found in surface water. Groups including the FDA and the Environmental Protection Agency (EPA) have closely monitored this issue and so far have not reported any apparent safety or environmental issues. To ensure safety on all fronts, head to a designated drop off site. There are also many community take-back programs for old medicines. Head to theDEA website to see what’s available near you. Check with your local pharmacy. If you are a customer, they will take your expired medication and get rid of it for you. Popping pills isn’t a one-and-done endeavor. There are some easy guidelines to make sure you take prescriptions the intended way. Additionally, you can pledge to store medications safely and learn more about pharmaceutical safety at Up and Away. So without further adieu, here are 14 tips to make sure you store and take medications safely. Always ask. Talk to your doctor or pharmacist. They’re the experts when it comes to the proper way to take, store, and get rid of them. Check the expiration date. Always check the expiration date on the bottle. Expired medicines may not only be ineffective, they could be harmful too. Look for warning signs. Check for pills that look discolored or dried out. If anything looks funky, take a picture and call your doctor to make sure it’s still safe to consume. Never reuse and recycle. Still have that prescription cough medicine that expired in 2012? Always discard leftover medicine even if you think you may use it again. It’s always best to have a doctor prescribe new medicine despite any similar symptoms. Keep it in the same container. The bottle’s tint helps protect pills from light and lists important information including the name of the prescription, when to take it, and your pharmacy’s number for when it’s time for a refill. Don’t mix meds. Many pills look similar, and it’s easier than one might think to accidentally pop the wrong one. Remove the cotton. Some pill bottles come with cotton inside to help protect pills that are shipped from online pharmacies. Remove the cotton as soon as you open the bottle. The cotton attracts moisture, which could decrease the medication’s strength. Separate from your spouse. Keep your medicines separate from your spouse or other family members to lower the chances of mixing. Open in a safety zone. Open meds on a countertop so you can rest the bottle on a flat surface. There’s always a chance of a pill slipping out of the bottle, and you don’t want to lose it on the floor or down a drain. Keep the lights on. Don’t take pills in the dark or in bad lighting. Good light helps ensure you take the right pill and correct dose. Lock ‘em out. It’s crucial to lock your prescriptions in a drawer if you have small kids. Close it tight. Use that arm strength to close the lid tight. This also helps childproof the bottles. Be prepared in case of an emergency. Call your poison control center immediately if you think a child may have taken one of your prescriptions. Save the number in your phone so you can dial right away. By now, you should be an expert on pill safety—from storage and use to proper disposal. Stick to these guidelines (and some common sense) and you’ll be on the fast track to health. Share how you organize your medications in the comments. My 91 year old dad made an excel spreadsheet to track the timing of his eye drops after he had cataract surgery. 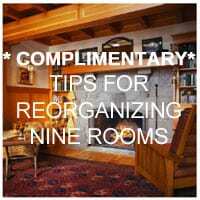 Click here if you want to learn more about working with a Professional Organizer? This advise appeared in the P.O.S.T Professional Organizing Strategies and Tips newsletter. 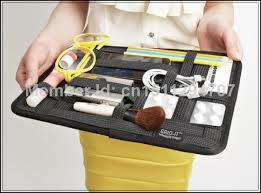 To learn about Professional Organizers in Canada click this linkhttp://www.organizersincanada.com/. There’s something about summer, the lure of the open road and the promise of a change of scenery that makes us want to load up the car and just go some place. If there’s one time you really want to be organized, it’s when you’re travelling. Travelling requires more organization than we may possess in our daily lives, so cut the stress by following an organizing checklist for inside the car. Make sure your car is good condition – oil checked, tires inspected and filled – test the air conditioning and wiper blades. Driver’s licence, passports, insurance card, ownership and registration, and contact numbers for roadside assistance should be readily accessible. 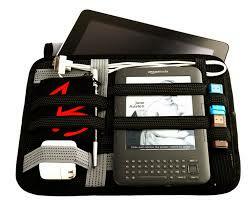 Make spare copies and leave with a travel companion. Spare tire and jack – are in good shape and are easy to access. An emergency car tool kit should include an orange flag or pylon that you can use to signal for help if needed. Learn how to change a flat tire. Plastic grocery bags for garbage – always! These blue bins fit between two seats and can hold a lot of gear. Each young member of the family can have their own bin for a blanket, sweatshirt, hat, sunglasses, spare shoes. They can access anything that they need on their own and have a place to wrangle their souvenirs. A file box with a labelled folder for each section of the road trip. A traditional map or print custom maps for your journey at GoogleMaps or MapQuest Route Planner. CAA or AAA will also provide route maps. (GPS) A Global Positioning System – some travelers say they wouldn’t leave home without one! APPS are available on smartphones to find everything from restaurants, hotels, parks, other points of interest as well as weather reports and plenty of games, quizzes and puzzles for young ones. Book the hotel ahead so you don’t have to find a place at the end of the day. Find hotels with generous cancellation policies. Music – A playlist or CD collection if you’re travelling through an area where radio signals might be sketchy. Audio Books, DVDs and a laptop are great to have because it means you don’t need to spend time uploading content to your phone or ipad before the trip when you may be busy. Check out your local library. Spare batteries, charging cables and electricity power converter for electronics. Healthy Snacks: fruit (apples can keep well for a long time), pretzels, granola bars, crackers and nuts, along with a few fun treats. A trip to the grocery store along the way can help you save money too, because the costs of dining out can add up. Beverages: A soft-sided cooler packed with water bottles and low-sugar soft drinks. Tissues, paper towels, cleaning wipes, hand sanitizer and a roll of toilet paper, in case the rest stop isn’t well-stocked. Prescription medicines as well as basics like pain relievers, antacids and remedies for motion sickness. Sunglasses, sunscreen and insect repellent. A first aid kit with antiseptic and band-aids for minor cuts, cortisone cream for insect bites, and bandages. Wear comfortable clothing – no items which restrict or bind. Wear shoes that are easy to take on and off. Always have a pair of closed toe shoes available. A sweater or jacket over a T-shirt for instant respectability in public areas. A small blanket if you disagree on the temperature setting within the car. A pillow from home for an unfamiliar hotel bed. Think twice before posting about your trip on social media if your house is currently empty!! What is your best travelling tips? Share it with us in the comments.